We Print and Design Roll Up Banner Stands. We can design and print your roll up banner very quickly. 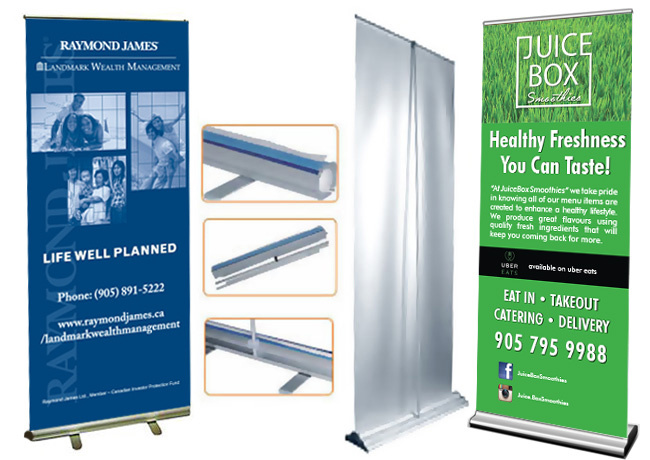 Roll up banner stands are available in sizes from 11” X 17” up to 59” X 80”. We also produce double side roll up banners and illuminated banners stands as well. We offer very competitive pricing. Standard 33.5"x80" roll up banner stands start at $159 and come with poles, hardware, printed backdrop and carrying bag. Turnaround time is 1-2 business days when print ready artwork is supplied. We will work with you to provide custom, professional graphics so that you will have a truly stunning display. Print samples are available at the store. 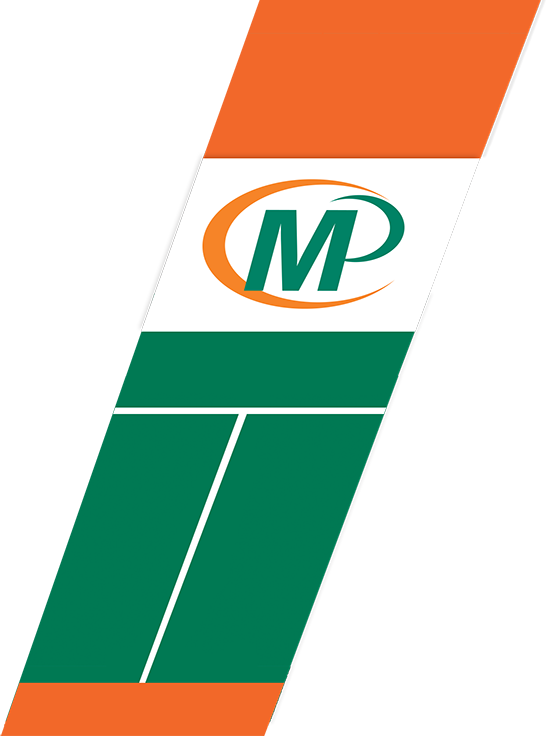 “It is my pleasure to thank you for the quality work you and Minuteman Press in Clarkson have done for my companies. As you know, we get a variety of work done at your location including: Marketing Folders; Flyers; Newsletters; Business Cards; Posters; Certificates and Technical Manuals. In every case I have found your team to be responsive, customer-focused and flexible. Earl Robertson – Namaico Holdings Inc.
“The staff of Minuteman Press have always completed our various printing requests both on time and properly, and are always courteous, no matter the urgency of the project. Bev Constant, Training Makes Cents Inc.